When choosing which fall colors to invest in, it’s easy to get swept up in the biggest trends without giving a thought to whether or not they’ll actually look good on you. (This editor is admittedly guilty of that.) But as luck would have it, the universally flattering fall color to wear is red. Ever since the debut of the F/W collections last year, red has been everywhere in real life too. It’s not that red ever went out of style per se, but it’s been quite some time since we’ve seen it out in such full sartorial force, and it’s trending in everything from outerwear to footwear. 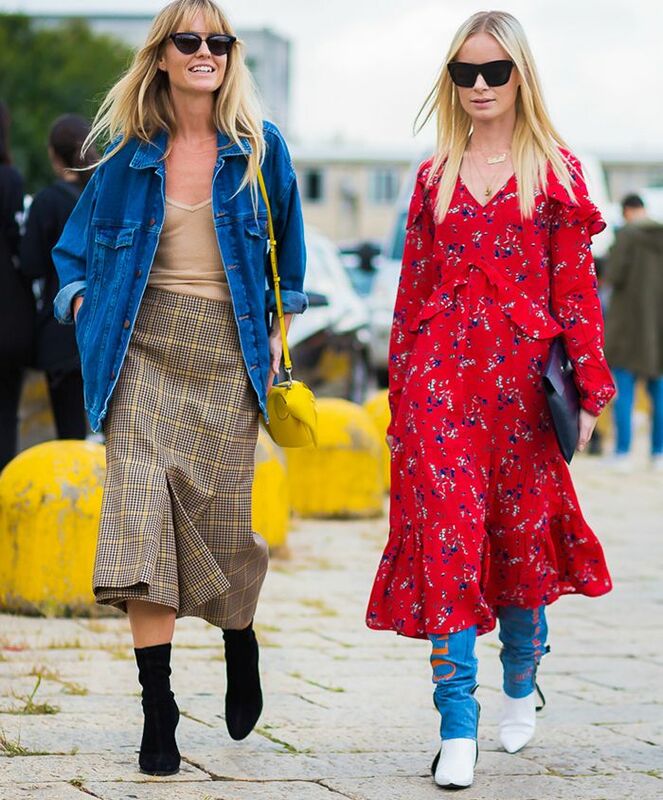 We’ve been surveying the street style scene (per usual) and have found that a variety of women have been rocking the hue and looking stunning while they’re at it. To further confirm our observation, we reached out to Kate Smith, the president and chief color maven of Sensational Color, a resource for information on color trends and everything else having to do with the all-important subject of color. On that note, read on to see proof that red is the fall color that looks good on everyone, and then shop our favorite red pieces. Choose an edgy piece to pair the classic color with. Velvet makes crimson hues look luxurious. Red and pink are a match made in sartorial heaven. Forgo an all-black look and try all red. Statement sleeves and red are guaranteed to get you noticed. Try colorblocking with another bold hue. 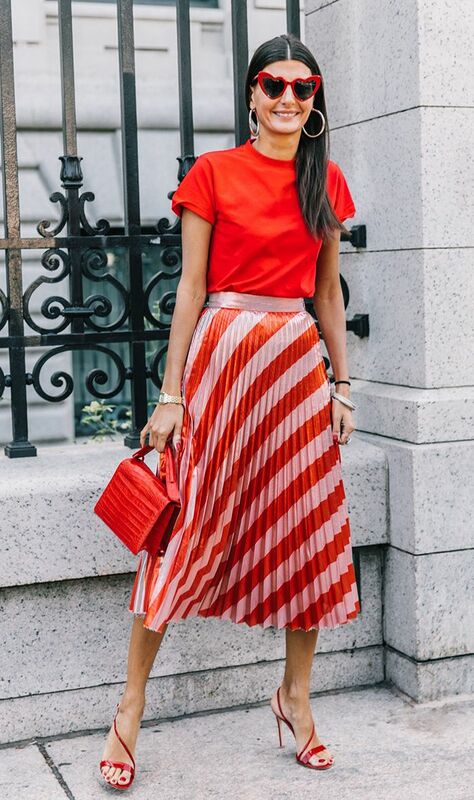 Combine red pieces with other fall hues for a cool, unexpected look. A red maxi dress is the perfect transitional piece. Swap your tailored black pieces with red ones for work this fall. Ruffled red is a very 2017 look. Add a simple red dress and sneakers to your off-duty outfit rotation. Definitely fancy enough to wear to a special event. An investment but a worthy one. This is the kind of dress you’ll wear year-round, every year. Of course Alexa Chung designed a sweater featuring our favorite color combination. We want everything at Tibi right now, including this sweater. Two of fall’s biggest trends (red and suiting), combined. Add this to your Gucci wish list. Refresh your sweater collection with this cool ’70s-inspired option. This will easily take you from the office to date night. Subtly off-kilter in the best way possible. These would be so chic with a black-and-white striped turtleneck and white ankle boots.